We know there are many benefits to exercising. It keeps your heart healthy, keeps your body functioning properly and it is good for your mind. When you are pregnant, however, you might hesitate to exercise as you do before because you are unsure of the risk it can have on your pregnancy. You might be wondering if exercise may cause miscarriage in the first trimester or not since in the first trimester it seems a lot of things can have an impact on the pregnancy. It is understandable that many women have this concern and this article will discuss exercise during pregnancy. Can Exercise Cause Miscarriage in First Trimester? Pain in the back, pubic or pelvic region. 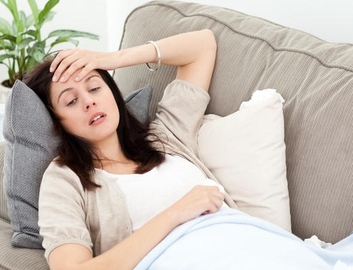 If you have any of these symptoms and they are persistent, then you want to speak to your doctor immediately and temporarily cease physical activity. 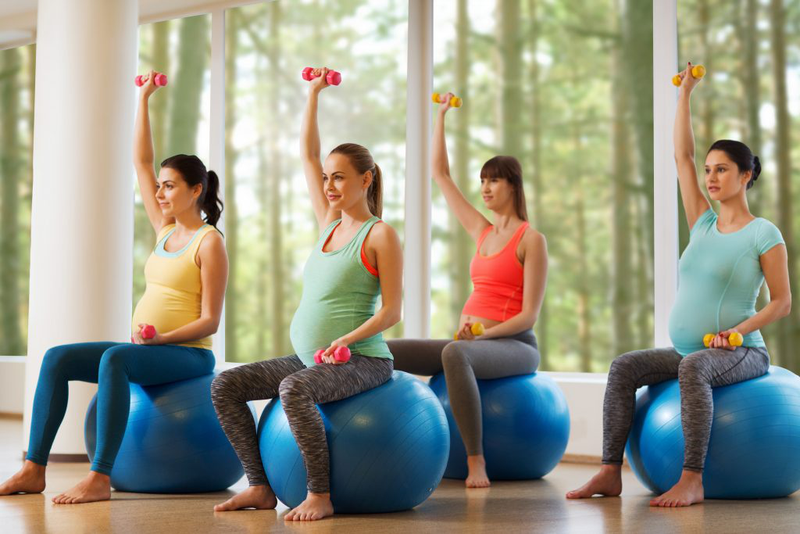 Exercising while you are pregnant can be beneficial for you and your baby, but you need to listen to your body and be careful. Can exercise cause miscarriage in first trimester? It is not a risk generally, but you'll want to be aware of the following tips to keep you and your baby safe while exercising during your pregnancy. Your risk level and your current individual fitness level will determine how much exercise you should strive to get. Typically, women who are low risk should try to get in 30 minutes of moderate intensity exercise four times a week. What is considered moderate exercise will vary from women to women. A good way to test if your activity level is moderate is to hold a conversation while exercising. If you can hold a conversation, then you are exercising at your moderate level. When choosing an exercise, you want to ensure that is a low-risk exercise, or one that has a low risk of causing injury, falling, or damage to the joint or ligaments. Below are some ideal low risk, low impact exercise that you should consider doing during your pregnancy. Warm up. Never skip on the warm up or cool down before and after your workout. Gentle stretching should be done before every workout since pregnancy will cause women to become more stiff. Walk. Walking can be one of the safest and most common exercises for pregnant women. Even if you are only just beginning to exercise while you are pregnant, walking is a great option because it is low risk and the intensity levels can be adjusted. Walking gives you a total body workout while improving your cardiovascular system as well. Water exercises. Can exercise cause miscarriage in first trimester if they are water exercises? No, swimming, water aerobics and water walking are all safe exercises to do during pregnancy. These exercises not only are great full body workouts and improve your cardiovascular system, they can be even more beneficial to women who suffer from back pain or swelling in the legs during their pregnancy. Cycling. Cycling is a great cardiovascular and leg exercise, but as your belly grows you'll want to switch to a stationary bike. Stationary bikes can be a lot safer since trying to balance on a traditional bike will become more of a challenge as your belly grows. Weight or resistance exercises. If you already regularly do weight training exercises, then it is safe to continue to do so once you become pregnant. You should not, however, begin weight training when you are pregnant if you have never done it prior to becoming pregnant. Run. If you were already a frequent runner prior to becoming pregnant, then running is a safe and moderate exercise you can continue in your first trimester, but you need to change up the intensity and frequency of running routine. Those who have never run before should not begin running during their pregnancy, walking can be a better choice. If you were already regular active prior to becoming pregnant, then you can most often continue with the same exercise routine. If you did not regularly exercise prior to the pregnancy, then you will want to start with a lighter workout routine. Can exercise cause miscarriage in first trimester should not be a major concern after reading the contents above, however, you do want to be smart when exercising. If it is really hot, humid, or you have a fever, skip the workout. Remember to stay well hydrated while you workout and to stop working out if you are experiencing any of the symptoms of miscarriage mentioned previously. As you progress in your pregnancy, your body is going to go through a lot of changes so you will need some new workout clothes. You want to remain comfortable while you are working out, so new pants, tops, and sports bras may be necessary. Exercises that require heavy weight lifting. Any exercise that causes you to hold your breath due to difficult of poses or lifting. After the first trimester, you want to avoid exercises that require you to lie on your back. Avoid exercises where you need to lie on your stomach. Abdominal strengthening exercises should be avoided as they can cause diastasis recti. Exercising that requires you to stand still for prolonged periods of time. You should not take part in any high impact or contact sports. Activities where there is a high risk of falling such as gymnastics, horseback riding, and skiing, should be avoided. Sports or activities like tennis or squash, where your center of gravity will change suddenly should be avoided. How Can You Look Good in the Morning?